Great photos, look forward to seeing for myself on Saturday. Thanks for sharing. Interesting pictures, Peter. 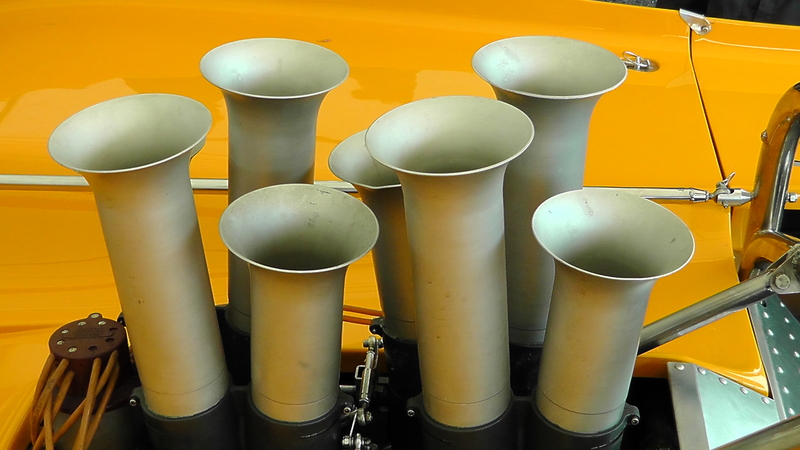 Thanks a lot for sharing all this motor racing history. Great pics, lovely to see. Lucky to go last year to Goodwood. The jaguar sculpture was impressive. A wonderful event. Yummy, stylish stuff. 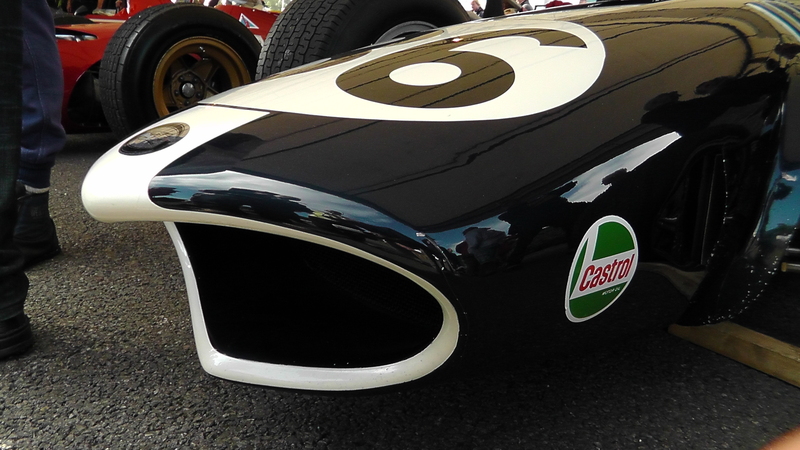 1967 Eagle – one of the coolest F1 cars ever, the same can be said about the driver, DG – unforgettable journey through the world of motorsport which continues to this day. 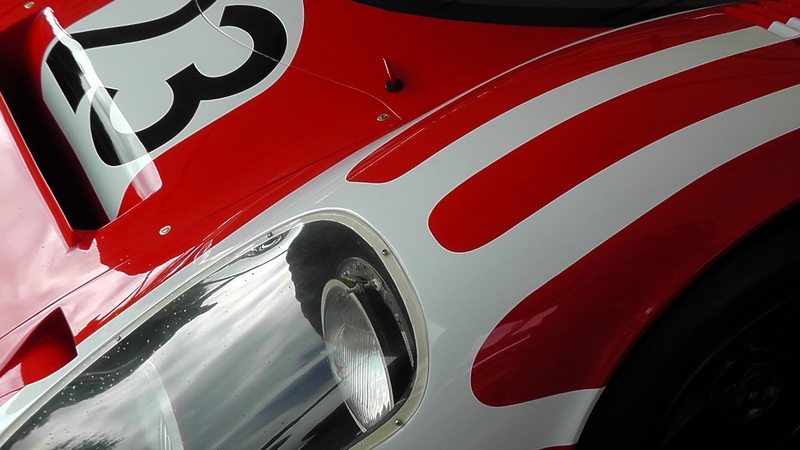 You folks are SO lucky in the UK with Goodwood FOS, must pay a visit myself one day. 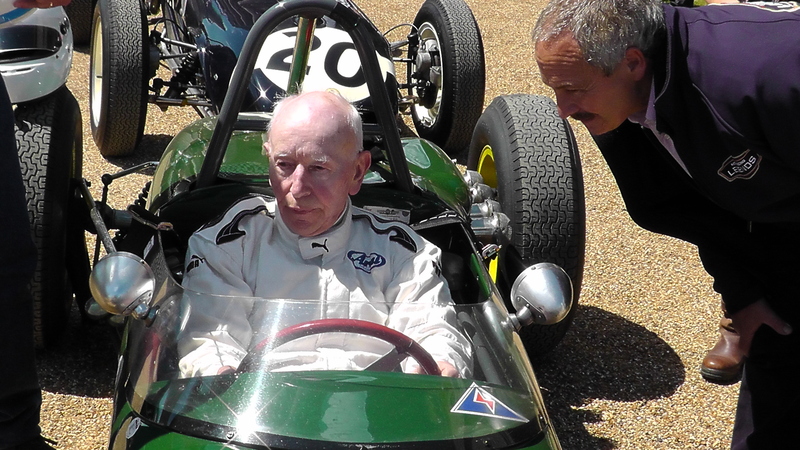 Thanks for sharing for those of us that can’t make it to Goodwood Peter. 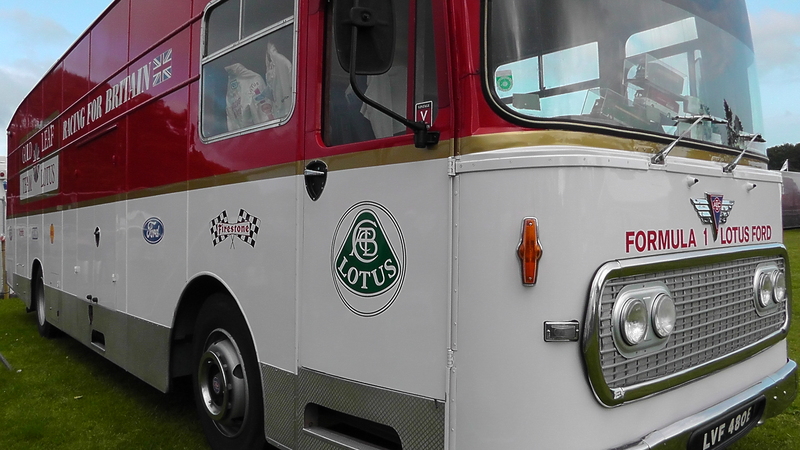 Some awesome shots there, but I think that Lotus transporter took the cake. Glad you left it till last. I really love the fact that someone has kept this in all its glory. Marvelous photos, thanks for sharing. 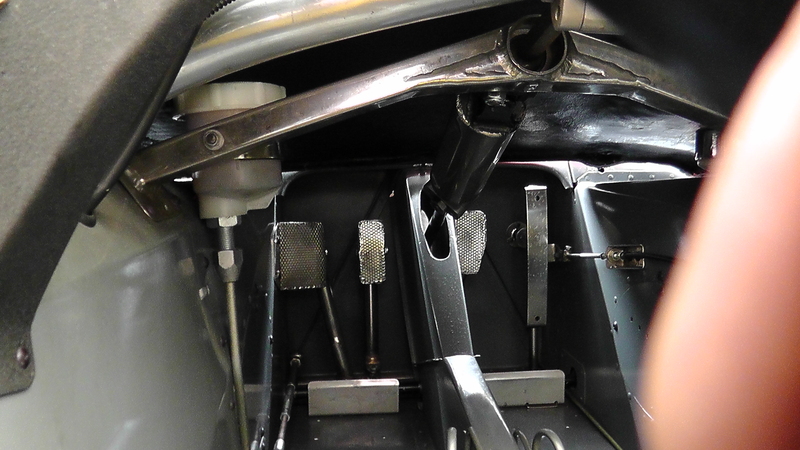 Very interesting, that one about Clark’s 1968 F2 car having dual brake pedals for left foot braking. Till now, I always assumed Mario was one of the first to try that out after seeing a cockpit photo of one of his late 70s Lotuses. Yes, Jim was very forward-thinking. He asked for that second brake pedal to be included in the 58’s design and, following his outing in the Vollstedt-Ford USAC car at the end of 1967, he wanted to try a rear spoiler on the Lotus 49. 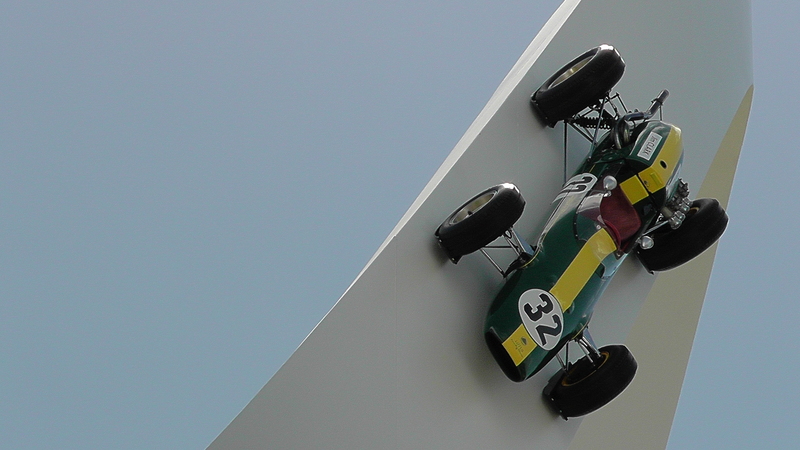 He and Alan McCall built one up in New Zealand from a helicopter blade but Colin Chapman (who was back in the UK at the time) demanded that it be removed before Jim had a chance to try it. Thanks. Yes, Lord March always commissions the most amazing sculptures. You’re very welcome. I know I was very lucky to be there and to have such access. Hope you enjoyed Saturday and that the rain wasn’t too bad! Very strange. The official F1 website actually features a Goodwood FOS gallery where both cars are given some attention or at least appear right on top to sort of highlight their importance. Wonder whether it’s Mr E’s influence? Despite his defects, he’s really familiar with the sport’s history. Dan’s obviously one of the most stylish F1 guys ever, while classic Team Lotus needs no introduction. Mean, 60s music is sort of back in style, maybe people should start having a better look at other cultural icons of the era, which F1 drivers undoubtedly were. For my generation, I think we all prefer early 2000 cars, V10 engines, wings and winglets, turning vanes and stuff like that. Cosworth V10 was one mighty engine I gotta say. Still, I found it very inspiring to dig deeper and learn more about early F1, that’s when older cars start looking very attractive. 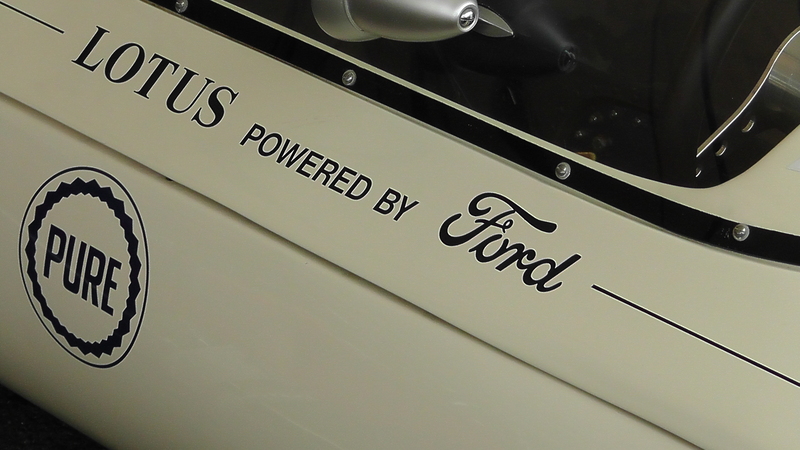 o The white & blue (“Pure”) Lotus 29 is Dan Gurney’s car from 1963. Most people think of Jim’s green and yellow one but I remember Dan’s well. The 1963 race at Trenton (NJ)’s mile (?) oval featured (why I was there) Jim & Dan on the front row . I really cannot remember who was leading when… Dan met the wall. No idea why. Needless to say, Jim went on to win. My Dad & I (age 14ish) made it to the victory circle but Jim seemed like a rabbit in the US crowd headlights and was desperate to escape. (My Dad was trying to get son – rabid Jim / Lotus fan – an autograph. Ah well). The race was a high point, I think, in a mixed year for Lotus in the US – the Indy controversy, Milwaukee and Trenton success and then Watkins where there was that battery / switch error that left Jim last to leave the grid but he recovered for third (I think). Pretty good! I have, somewhere, a vinyl recording of that race. Featuring a most annoyed Climax leaving the grid very quickly once it was running. o The top of the page banner picture. 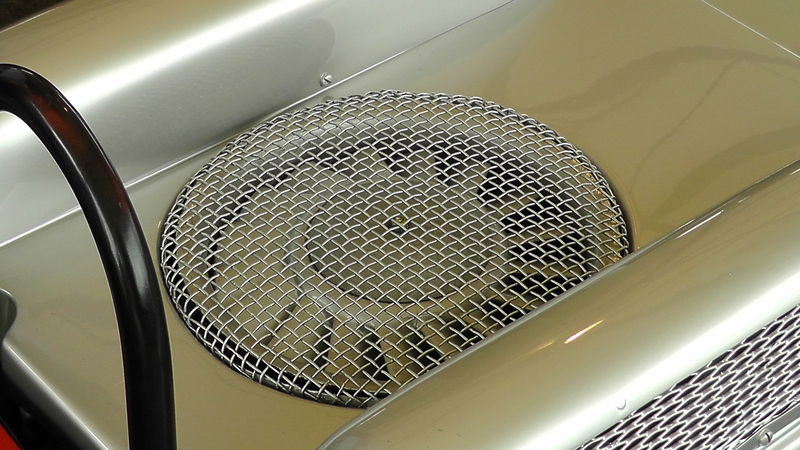 Question: Lotus 49? 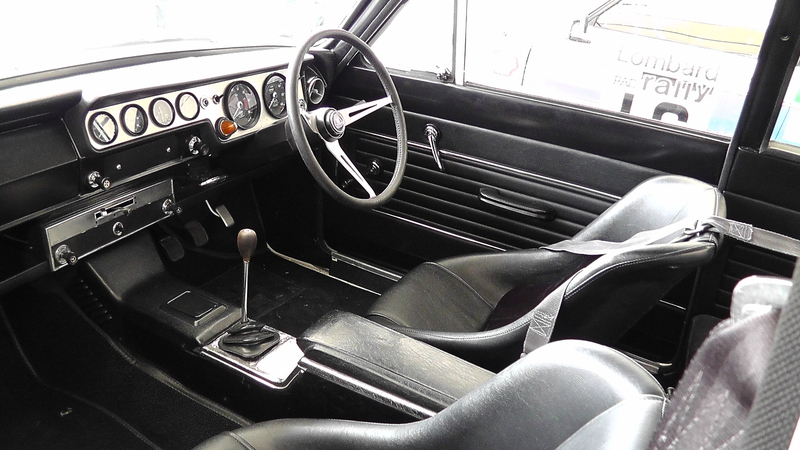 At first I thought a 33 in 64/65 but (1) helmet / kerchief , (2) anti-roll bars configuration and (3) Firestones argue for a 49 in 1967. Right? Thanks Keith. Yes – that Dan car was beautiful, too. 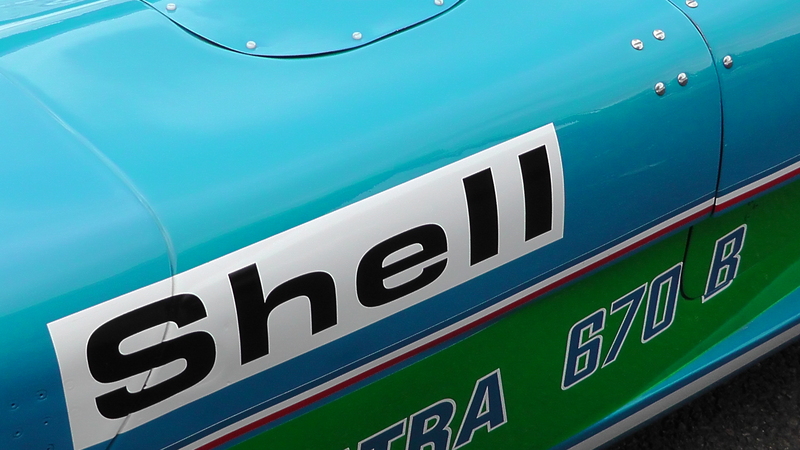 (Just as the Ferraris always looked sharp in NART colours, I always thought.) I’ve actually got the race programme from Milwaukee, 1963. Interested to read your comments about Jim in Victory Circle. Doesn’t surprise me. By ’67 he really wasn’t enjoying all the hoopla of Indy. He loved the racing and the professionalism of the US but he wasn’t into crowds! 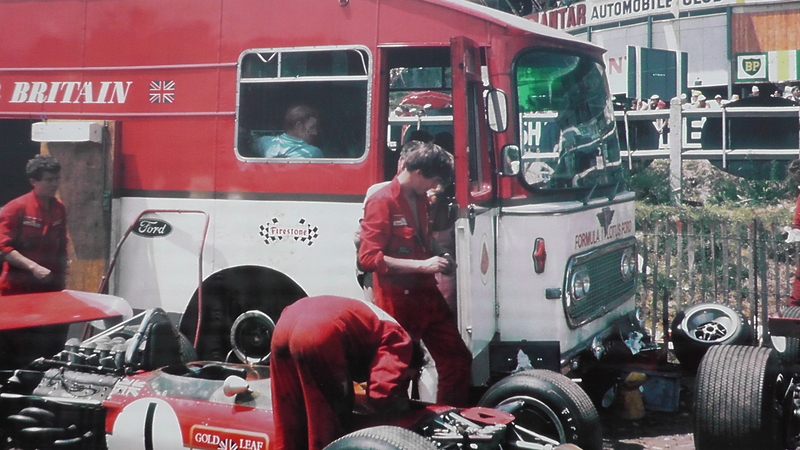 You were correct first time about the banner picture: it’s Jim in a 33 at Monaco, 1966. The giveaway is the Leston helmet: in 64 he used a peakless Bell Magnum and in 67 a Buco with chin-cup. 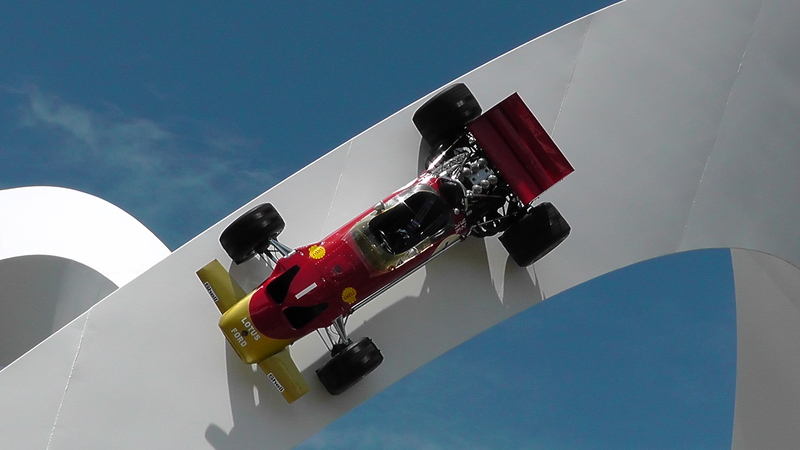 (And he didn’t race at Monaco in ’65, of course, because he was busy winning Indy!) If ever you convert your vinyl to CD, let me know! Would love to hear that. Ha! Search engines rule! Thanks for the message. Thankyou. Very kind – too kind.